Roast carrots coated in olive oil and ground cumin until tender and caramelized. Puree in processor with harissa and Greek yogurt and serve with olives and crumbled feta. Sound wonderful. Think I'll try it. Should be about 1pt. per serving. No carrots in Phase 1. 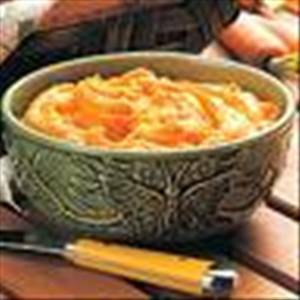 There are 48 calories in 1 serving of Spicy Carrot Dip. Calorie break-down: 49% fat, 41% carbs, 10% protein.